Ownership / Access: Simon Lennox-Boyd, 2nd Viscount Boyd of Merton and his wife, Alice. Opening Times: The house and gardens are only occasionally open to the public. Check their website for more details. 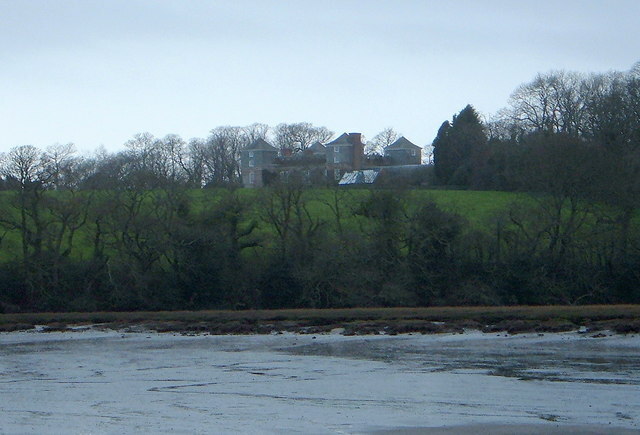 Notes: The house in on a peninsula by the River Lynher, from which comes the name, Ince being a form of Cornish "enys"=island. The first house may have been built by the Courtenays in the late 14th century. It later came into the possession of the Killigrews who remodelled the house entirely. Henry Killigrew, the Royalist MP for West Looe, who modified the first house in about 1642, kept four wives, one in each tower, each unknown to the others, according to tradition.